Education is changing. The “sit and be told” model of yesterday is being replaced by active, self-directed learning that fosters 21st-century skills of innovation, creativity, teamwork, and collaboration. And museums across the country stand at the center of this vibrant learning grid poised to serve every learner, at every age. This summer, Los Angeles takes an important step to usher in this new era of education with the Los Angeles Summer of Learning, which transforms the city into an open-air classroom full of free educational activities for learners from 3 to 24. Students and parents can sign up for engaging and challenging activities in art, science, technology, engineering, and math across the city through the project website, summeroflearning.la. The program is a collaboration of L.A. Mayor Eric Garcetti and Los Angeles Unified School District Superintendent John Deasy, along with community-based organizations, the business and philanthropic community, cultural organizations including the Getty, and many others. As both the champion of this program at LAUSD and a trustee of the Getty, I’m delighted to see this collaboration take flight. Through August, students can use Los Angeles as their campus to do all kinds of fun things: explore the city, learn to code, become an amazing photographer, even design robots. Classes and events are offered at schools, parks, neighborhoods, and at museums and cultural centers. By completing online and hands-on activities, learners earn virtual badges that reflect their newfound skills. Digital badges have been described as the “resume of tomorrow” because they allow students to direct and demonstrate their own achievements. Enrollment in the L.A. Summer of Learning is easy and free. Parents and kids can simply sign up on the website and start exploring. Once an activity is complete, the student is awarded a badge. Then the website suggests another learning opportunity, giving students tailored ideas for fun things to do next. Six L.A. museums are participating in the Summer of Learning in this inaugural year. Delve into family history at the Chinese American Museum, get inspired and make art at LACMA’s Andell Family Sundays program, discover Japanese American culture at JANM, navigate Noah’s Ark at the Skirball, and explore history and leadership at the Reagan Library. Three badges are on offer at the Getty Museum. 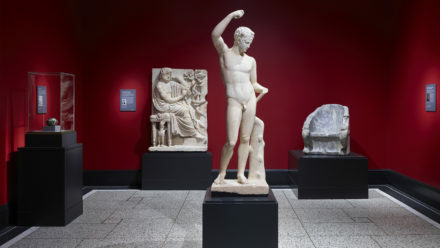 Students can solve an art mystery on their phone and sleuth through the galleries of the Getty Center and the Getty Villa to find very special artworks, then sketch their favorites. After the activity, students can collect a claim code that unlocks their virtual badge from the Summer of Learning Program. 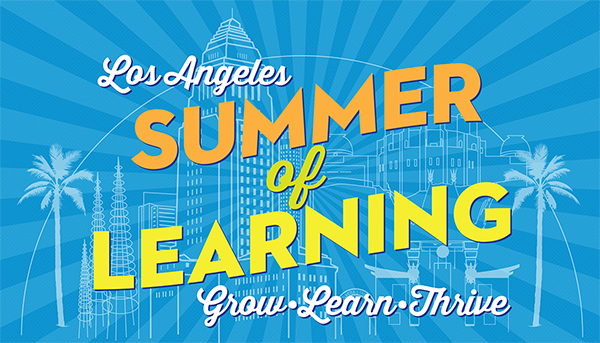 To learn more and get started, check out summeroflearning.la today! 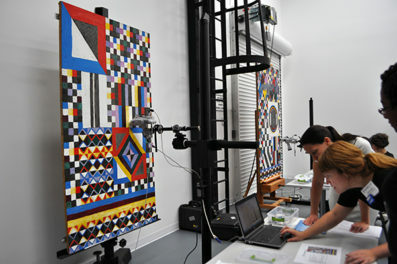 Text of this post © Thelma Meléndez de Santa Ana. All rights reserved.